Conflicts of Interest and Ethics Commissioner for Canada Mr Mario Dion states he has received numerous complaints over perceived ethics violations by Prime Minister Trudeau and his family again. Already last year, Mr Dion’s predecessor, Ms Mary Dawson found the current PM had violated Canada's ethics laws by accepting two all-expenses-paid family trips to a private Bahamian island owned by the Aga Khan, a wealthy Muslim family and the head of a charitable organization that lobbies the federal government for funds. Mr Trudeau, who has since apologized, initially tried to defend the trip as a gift from a long-time family friend. After all, it was his father, former Canadian Prime Minister Pierre Trudeau, who in the 1970s allowed the Aga Khan family to migrate to Canada after they were expelled from Uganda. 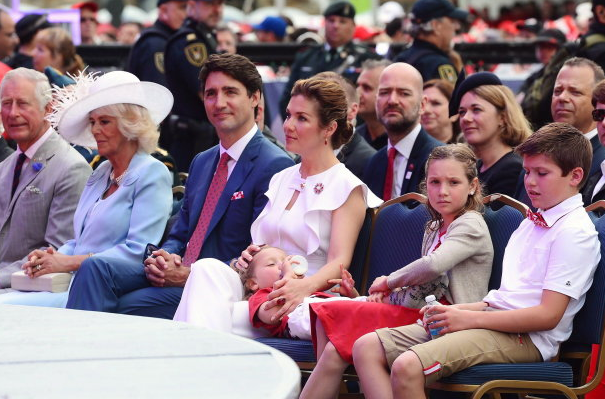 This time round, Mr Dion says the Canadian public is starting to have an issue with seeing the Prime Minister’s family featured in so many glamorous fashion spreads. What happens is that designers and fashion brands send the clothing and gear to the Trudeau family, who then wear them and are photographed with it. The companies then use these pictures to sell their goods, meaning many Canadians seem to be bombarded with the image of a Trudeau family member in every clothing store they visit. If you are not a fan of Mr Trudeau’s politics, this can be interpreted as disturbing. Among the items that are now being promoted by the Trudeau’s: Ray-Ban sunglasses, a limited edition painted leather clutch, several beauty products, some jewellery, shoes, luggage, children's clothing, sporting accessories and so on. The list is quite long. "We are dealing with a new genre of politics which is very much focused on the politician as a celebrity, and nobody anywhere in the world personifies this more than Justin Trudeau and the Trudeau family," Mr Angus stated. "They're trailblazers in the sort of brand identification of celebrity politicians. So, a clothing line tied to them would have huge financial benefits." Ethics Commissioner Mr Dion seems to agree. He believes the exception for ‘friends’ giving gifts to public office holders like the Trudeau family, should be eliminated from the law. "A friend is a very, very subjective notion. Some people have 3,000 friends on Facebook, some people have only one friend they confide to. So what is a friend?" Mr Trudeau’s office, seeing the commotion in the press, stated that said garments listed under the gift registry were borrowed or loaned or were later donated to charities.